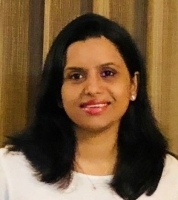 Sreeja Menon is Principal Engineer - Architecture at Rambus, India Design Center. She has 14+ years of experience working on architecture and design of digital controllers and PHYs. In her current role, she works on architecture definition of DDR, HBM and GDDR memory PHY families. She has received her Bachelor’s degree in Applied Electronics and Instrumentation Engineering from University of Kerala, India.